Today is 3.14 – also known as PI. To celebrate a lot of pizza places offer deals on pizza pie 😉 Here’s the ones we know of… Blaze Pizza: $3.14 pizzas all day long Hungry Howies: Medium pizza for $3.14 when you buy Hungry Bread at reg price with code PI18 Cicis Pizza: Celebrate National Pi Day with pizza for two days — March 13-14 — with this buy one, get one deal: Purchase an adult buffet meal at regular price and receive the second one for $3.14. 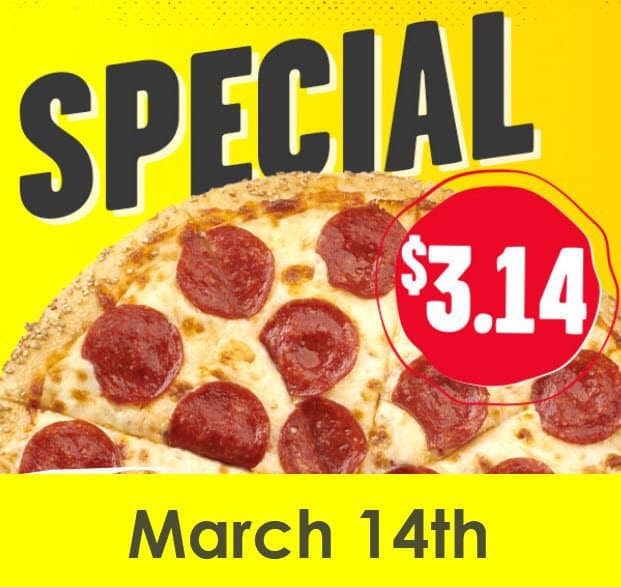 You’ll need a coupon for this one — Cicis will post it on Facebook on March 13. 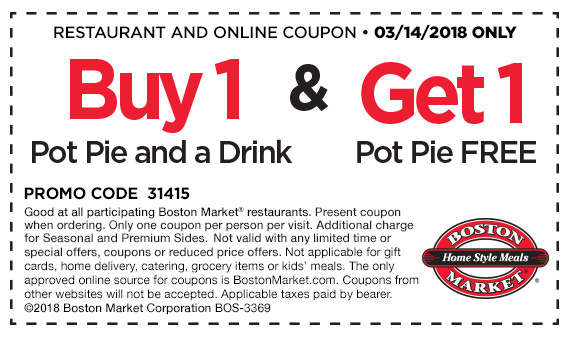 Boston Market: Get a free chicken pot pie with the purchase of a pot pie and drink. You’ll need to print out this coupon or show it on your phone. Village Inn: Take $2 off as many whole pies as you want March 13-14 — no coupon needed. Whole Foods: Get $3.14 off any large pie from the bakery. If you know of any others, let us know!